1200mm width of Uv Drying Machine TM-1200UVF be fit to UV drying ,plane objests,PVC ,paper offest UV Printing ,plastic products,glass,wood etc. UV LAMP of Uv Dryer curing machine is high UV frequency. ( 360-720HZ). It to fit amost UV INK ,UV glue. Our UV Lamp life time can be sure 1000-1200 hour. curing speed can be changed. Belt runing speed is 0-10M/min. 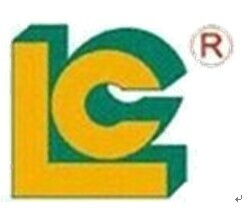 LUEN CHEONG GROUP LTD was specializing in manufacturing LC brands . including :various Pad Printer, silk Screen Printer, Hot Foil Stamping Machine, UV Curing Machine for 26 years. We passed ISO-9001-2000 certification in 2001, and we are a member of SGIA and all of our industrial printers had passed CE standard. we are the gold membership of Alibaba and got a huge credit all the world . There are customers from 115 countries to visit our factory and we had a good cooperation. Looking for ideal UV Drying Machine for Big Sale Manufacturer & supplier ? We have a wide selection at great prices to help you get creative. All the 2 Set Independent System Machine are quality guaranteed. We are China Origin Factory of Uv Dryer Curing Machine. If you have any question, please feel free to contact us.